Happy weekend, traders. I hope you are having a good one. The previous week was extremely volatile because of top-tier economic events like FOMC Statement, and monetary policy decisions from the BOE (Bank of England) and SNB (Swiss National Bank). In all this, a good thing is that the FX Leaders Team secured a strong closing with almost 70% success rate in forex trading signals. 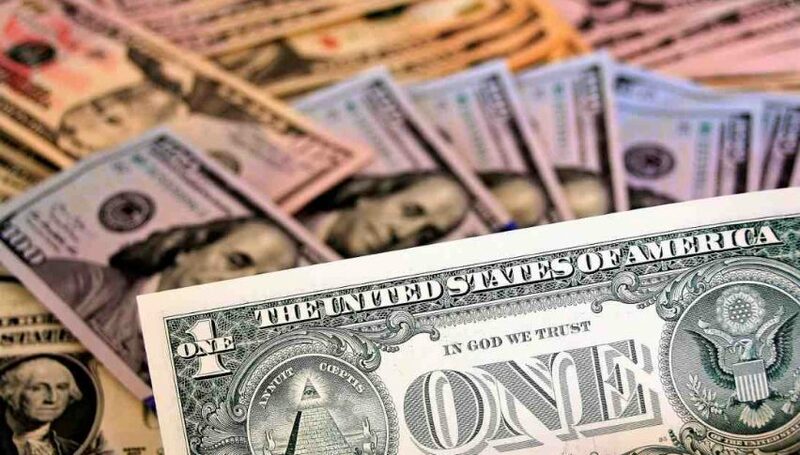 The US Dollar Index weakened over the nature of the dovishness held by the Federal Reserve. Where the Fed surprised the market through declaring no rate hikes sentiment in 2019. The Eurozone’s miserable Flash Manufacturing & Services Purchasing Managers Index (PMI) figures cast a pall over the single currency Euro. Japanese flash PMI remained unchanged at February’s 48.9, while core inflation surprisingly lifted. The US 10-year bond yields slumped to 2.44%, the lowest since early last year. The German 10-year Bund yield slipped beneath zero for the first time since 2016. While the Japanese 10-year yield is approaching negative eight basis points, the most since 2016 as well. 1 – German Ifo Business Climate, will it lead towards economic recovery? On Monday at 9:00 (GMT), the most crucial data release will be the Ifo index. Some forward-looking measures for global activity have begun to drop lately, especially the manufacturing and the services PMI data from the Eurozone which have been miserable. This is undoubtedly going to impact other economic indicators as well. The German ZEW also showed signs of destabilization as it’s been dropping from 103.8 points in Sep 2018 to 98.5 in Feb 2019. 2- CB Consumer Confidence, is it going to continue upward momentum? Another crucial event due this week is consumer confidence from the US economy. It’s a survey of around 5k households which asks respondents to rate the relative level of current and future economic conditions including labor availability, business conditions, and overall financial situation. Is it a bit hard to grasp? Let me simplify it for you. The consumer with a higher level of confidence on economic growth tends to spend more, as compared to the rest of the folks. Hence, the higher level of consumer confidence can lead to a higher level of inflation, GDP and ultimately better employment status. Lately, Consumer Confidence has deteriorated distinctly towards the end of the year, which I believe was mainly due to US companies enhancing imports from China ahead of proposed tariff hikes in January. For now, Consumer Confidence seems to gain upward momentum as the tariff hike from 10% to 25% is subsequently delayed, and the US-China are very likely to enter a trade deal. Anyhow, a rise of 132.1 vs. 131.4 beforehand is on the cards now. On Wednesday at 1:00 (GMT), the Reserve Bank of New Zealand is scheduled to release the Official Cash Rate. Just like FED, ECB, BOE, and SNB, the RBNZ is also expected to keep the interest rate unchanged at 1.75%. Alongside Cash rate, the Rate Statement and RBNZ Monetary Policy Statement will be monitored. The RBNZ Press Conference is also due at 1:00 (GMT), and I hope that RBNZ Governor Graeme Wheeler will speak up about his future policy actions. The Federal Reserve has clearly indicated that they will be very patient with the next rate hikes. In fact, first, they lowered the three rate hike sentiment to two rate hikes and swiftly conferred no appetite to change monetary policy this year. If you think about it a bit deeper, this indicates the upcoming data might struggle due to the global economic slowdown and also due to the US-China trade war. Hence, the 4Q GDP from the United States is forecasted to revised lower from 2.6% to 2.4%. This may place a bearish pressure on the US dollar on Thursday. Besides, the GDP figures from the United Kindom and Canada will be in the highlights. UK Final GDP q/q – is due on Friday at 9:30 (GMT) with a forecast of 0.2% growth which is in line with the previous figure. This may leave a muted impact on the market. On Friday, the UK Parliament will vote to decide on the passage of the deal triggering Article 50 with the European Union. If the British Prime Minister May’s Brexit deal get accepted next week, the European Union will allow an extension that continues till May 22. The idea is to provide the United Kingdom with a time to pass the relevant legislation. That’s it, fellas. I hope you enjoyed reading this part and I would love to have your feedback and questions in the comments box below. Have a profitable week ahead and stay tuned to FX Leaders!